What is FTP and why do I need it? FTP – File Transfer Protocol – is one way for you to transfer files to and from your hosting account. Unlike HTTP, which is meant for accessing websites, FTP is designed to transfer files. Because of this, using an FTP client to transfer files can be faster and more reliable than doing so inside your control panel. An FTP client is software designed to work with the FTP protocol. 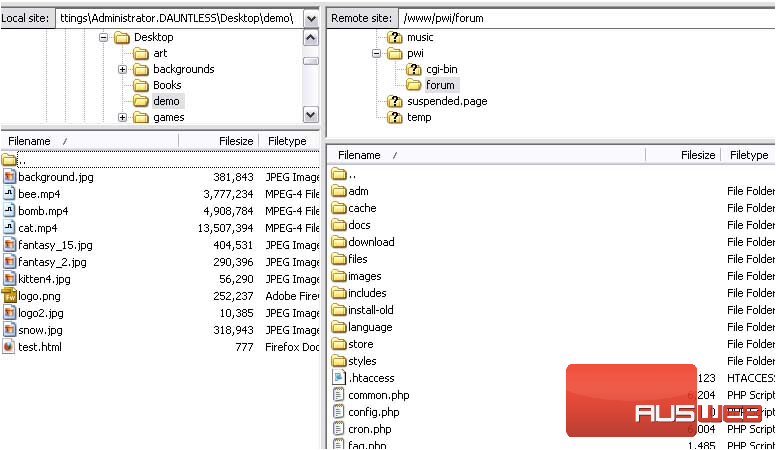 One free FTP client we can recommend is called FileZilla (shown here). You can download it at filezilla-project.org. On the left, we can see our local files and folders, while the right side shows the content on the server we are connected to.